2019 Priority Enrollment Cycle is Open for Applications! We are pleased to announce the Priority Enrollment Cycle for Color of Woman 2019 is open now through September 15th! We invite you get a cup of tea and explore the Training. Those who apply during this cycle will receive top priority for the training, placement in gatherings, access to the initial orientation materials to prepare and financial savings. You will receive $1,000+ savings on the Core Online tuition. I cannot even imagine my life without Intentional Creativity. Working with IC has changed the entire focus of my life. 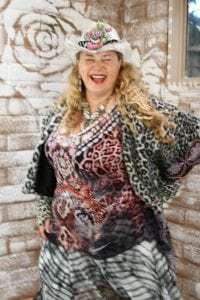 For any questions or inquiries about Color of Woman 2019, Color of Woman Graduate and Teacher, Tania Magennis, is your ‘go to woman’ inside the Red Thread Cafe Classroom, our online IC group. Add #COW to the front of your post and she will respond to questions and posts daily. 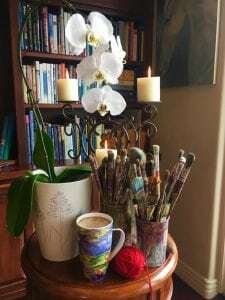 I come from a lineage of women artists devoted to using creativity as a form of prayer and intention. We seek to end the suffering caused by the sense of feeling separate and alone inherent to our human state. We seek to end the violence and sorrow this sense of isolation can cause, especially to the most vulnerable members of our human family. 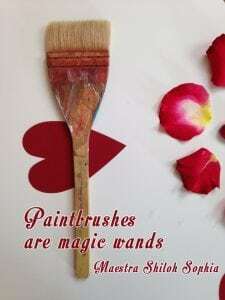 We believe creativity to be our innate and shared human birthright and that creative expression is a means of unfolding our identity and transforming our lives. We also believe that art and transformation should be fun. 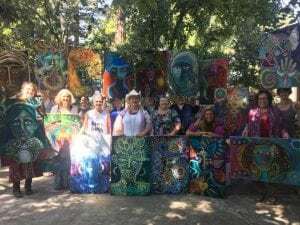 We use Intentional Creativity and art as a means to find out more about our individual and shared journey, and we offer the beauty, joy and discoveries this experience unfolds as an invitation for all peoples to come into a sense of belonging to themselves and each other upon our fertile earth. 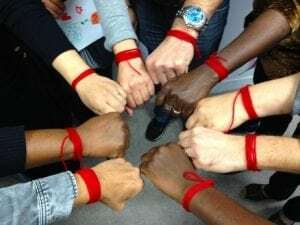 Red Thread Circle in Paris by Brunehilde Yvrande. .::. 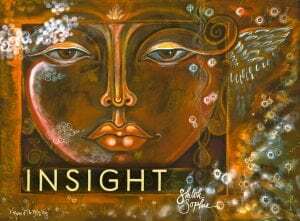 The INSIGHT Experience .::. Priority Enrollment Cycle is open now – September 15th. Request the INVITATION: Interview and Application Here. Join Shiloh Sophia, the Co-Founder of Intentional Creativity® for an enlivening series of seminars – available now. All details and ways to participate will be emailed once you Register. This is for those interested in learning about Intentional Creativity + the possibility of becoming a Teacher so you can offer this technology to your clients, circles and groups. What Intentional Creativity is and how to use it to bring INSIGHT into your life path. Access the INSIGHT link between imagination and consciousness. 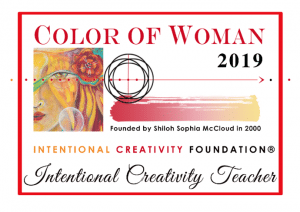 Learn more about the Intentional Creativity Teacher Training ~ Color of Woman 2019 to see if the experience is what you are looking for on your life path. Reconciling the Critic and the Muse Paradox once and for all.